The Zoho CRM and Quickbooks integration is a common used sync. Businesses that use this sync will have their books balanced and organized without losing valuable time they can’t miss. By creating a sync between Zoho CRM and Quickbooks, colleagues in accounting can count on the addresses in Quickbooks to be correct and up to date. It can also automatically send through customer information from Zoho CRM to Quickbooks when a deal is closed so that invoicing can begin. Through the power of syncing, your business has only one address book to maintain: Zoho CRM’s… Or Quickbooks! Whichever you want. After closing a deal, sales staff typically identifies to whom invoices should be sent. They will create this contact in Zoho CRM. Through PieSync, the contacts of the invoice recipient can be synced to your accounting team in Quickbooks. Keep your CRM and your Accounting Apps in Sync. Secondly, authorise your apps on the PieSync dashboard to set up a 2 way-sync. Then, set up a rule in PieSync to sync contacts from Zoho CRM to Quickbooks using tags such as “invoice recipient”. This way, colleagues in accounting can rely on recipients’ address information to be correctly pre-filled out in Quick- books, no more double checking. Smooth handover! The cherry on top: Quickbooks can track whether a contact still has open invoices or not to their name. Since PieSync works 2-way, as soon as the invoice gets paid and is logged in Quickbooks, the tag disappears in Zoho CRM. Make sure you switch on the toggle next to “Undo” for this - this toggle is located under the rule on the PieSync dashboard. 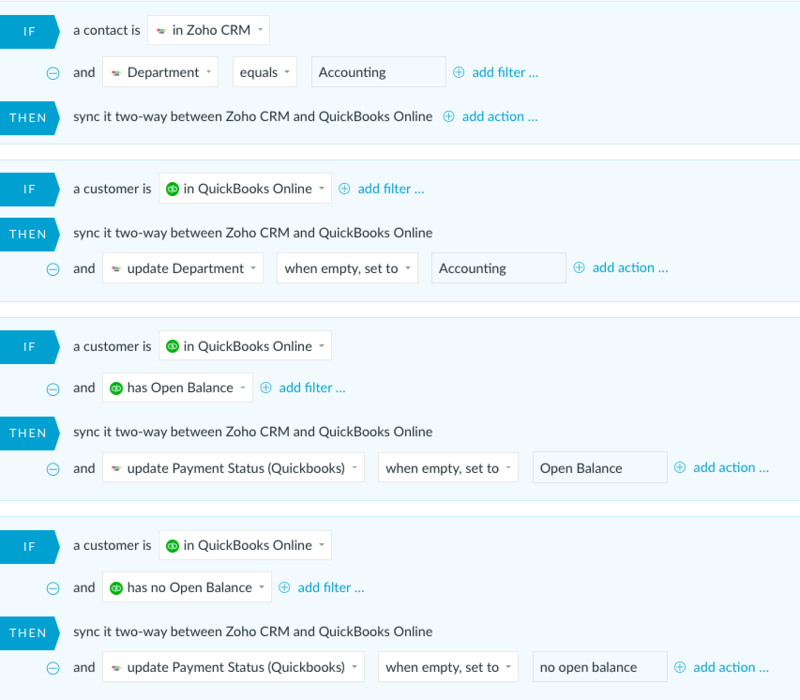 Quickbooks to Zoho CRM. 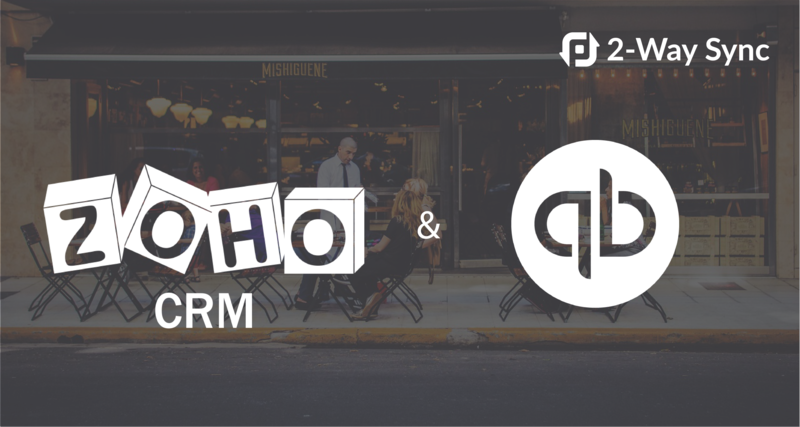 When accounting creates new contacts in Quickbooks, they will be synced to Zoho CRM, along with the information about their payment status (handy for sales and customer care teams who are in contact with contacts). For this latter feature, you simply create a custom field in Zoho so it can store Quickbooks’ information.